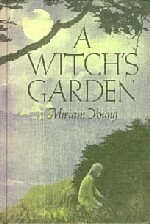 (1913- 1974) Miriam Young is the author of many children's books and stories. She also wrote about her mother's youth in San Francisco in the 1880's in No Place for Mitty and her parents' theatrical careers in Mother Wore Tights. 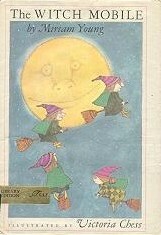 She wrote a series of picture books with Robert Quackenbush as illustrator as well as some novels for juvenile readers. I had no idea Miriam Young wrote so many books. Her If I Drove a Truck series is charming, and her memories of her parents fascinating, but it's Miss Suzy that is the most requested title here. 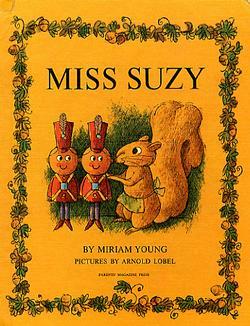 And the good news is: Miss Suzy has been reprinted by Purple House Press and is now available! 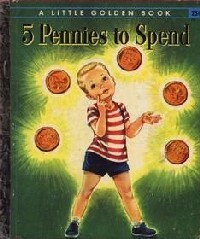 5 Pennies to Spend. Illustrated by Corinne Malvern. Simon and Schuster, 1955. Little Golden Book #238. A Bear Named George. Illustrated by Harold Berson. Crown, 1969. Beware the Polar Bear. Illustrated by Robert Quackenbush. Lothrop, Lee & Shepard, 1970. Billy and Milly. Illustrated by Robert Quackenbush. Lothrop, Lee & Shepard, 1972. Can't you pretend? Illustrated by Steven Kellogg. Putnam, 1970. Christy and the Cat Jail. Illustrated by Pat Grant Porter. Lothrop, Lee & Shepard, 1972. The Dollar Horse. Illustrated by William M. Hutchinson. Harcourt, Brace & World, 1961. 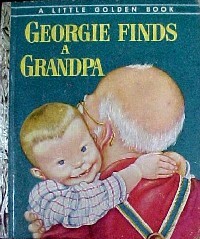 Georgie Finds a Grandpa. Illustrated by Eloise Wilkin. Simon and Schuster, 1954. Little Golden Book #196. Heaven Faces West. Appleton-Century-Crofts, 1948. If I Drove a Bus. Illustrated by Robert Quackenbush. Lothrop, Lee & Shepard, 1973. If I Drove a Car. Illustrated by Robert Quackenbush. Lothrop, Lee & Shepard, 1971. If I Drove a Tractor. Illustrated by Robert Quackenbush. Lothrop, Lee & Shepard, 1973. If I Drove a Train. Illustrated by Robert Quackenbush. Lothrop, Lee & Shepard, 1972. If I Drove a Truck. Illustrated by Robert Quackenbush. Lothrop, Lee & Shepard, 1967. If I Flew a Plane. Illustrated by Robert Quackenbush. Lothrop, Lee & Shepard, 1970. If I Rode a Dinosaur. Illustrated by Robert Quackenbush. Lothrop, Lee & Shepard, 1974. If I Rode a Elephant. Illustrated by Robert Quackenbush. Lothrop, Lee & Shepard, 1974. If I Rode a Horse. Illustrated by Robert Quackenbush. Lothrop, Lee & Shepard, 1973. If I Sailed a Boat. Illustrated by Robert Quackenbush. Lothrop, Lee & Shepard, 1971. Jellybeans for Breakfast. 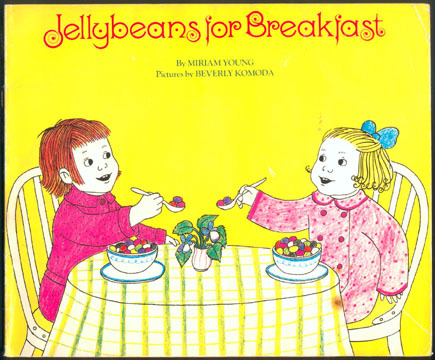 Illustrated by Beverly Komoda. Parents' Magazine Press, 1968. King Basil's Birthday. Illustrated by Victoria Chess. Franklin Watts, 1973. Marco's Chance. Illustrated by Don Sibley. Harcourt Brace, 1959. *Miss Suzy. Illustrated by Arnold Lobel. Parents' Magazine Press, 1964. Purple House Press, 2004. Miss Suzy's Birthday. Illustrated by Arnold Lobel. Parents' Magazine Press, 1974. 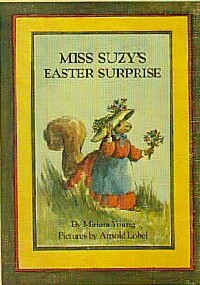 Miss Suzy's Easter Surprise. Illustrated by Arnold Lobel. Parents' Magazine Press, 1972. The Most Beautiful Kitten. Illustrated by Haris Petie. Lantern Press, 1961. No Place for Mitty. Four Winds Press, 1976. Peas in a Pod. Illustrated by Linda Neely. Putnam's, 1971. Please Don't Feed Horace. Illustrated by Abner Graboff. Dial Press, 1961. The Secret of Stone House Farm. Illustrated by William M Hutchinson. Harcourt Brace, 1963. Slow as a Snail, Quick as a Bird. Illustrated by Idelette Bordigoni. Lothrop, Lee & Shepard, 1970. So What if it's Raining! Illustrated by Carol Nicklaus. Parents Magazine Press, 1976. Something Small. Illustrated by Frank Aloise. Putnam, 1970. Truth and Consequences. Illustrated by Diane de Groat. Four Winds Press, 1975. Up and Away! Illustrated by Sam Savitt. Harcourt Brace, 1960. A Witch's Garden. Illustrated by Charles Robinson. Atheneum, 1973. The Witch Mobile. Illustrated by Victoria Chess. Lothrop, Lee & Shepard, 1969.